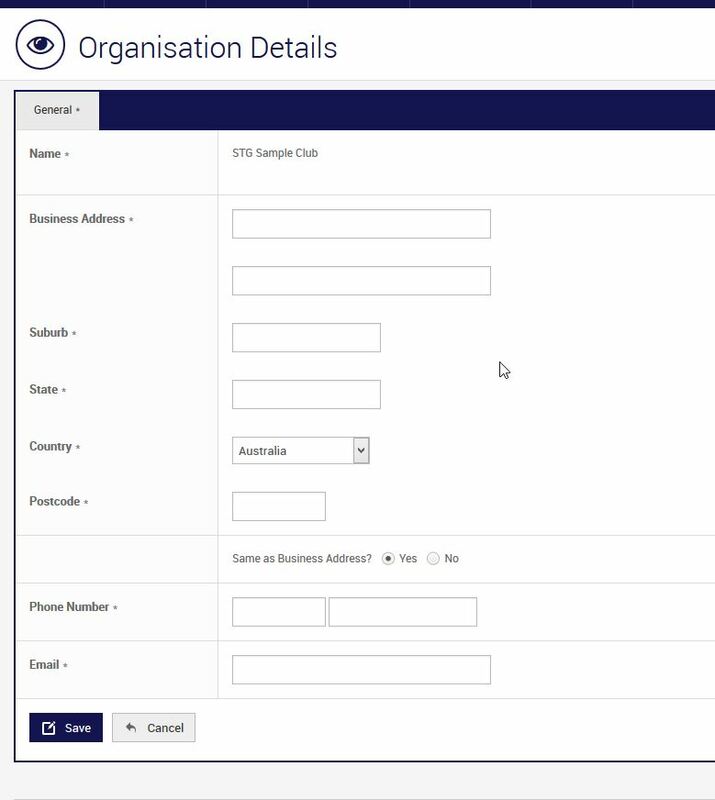 This area houses the contact details for your organisation. 3. Update the relevant details and click Save. Note: To update your bank details, please Click Here, as this cannot be done through the OneSport system for security purposes.